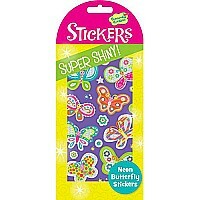 Stickers stickers everywhere! 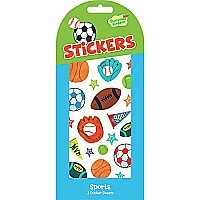 Create your own keepsake sticker art in a fun book designed just for saving your sticker collection. 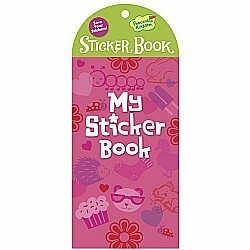 This little sticker book measures 4" x 9" and contains 12 blank, glossy pages ready to be decorated in your own special way. 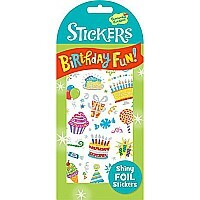 Make each page it's own theme or mix and match stickers for wacky fun and a good laugh! Tell a story, create an artwork or showcase your favorites. The fun will be as unique as you!Since 1983 play has been the heart and soul of Peaceable Kingdom. Silly play, special play, wholehearted play! We create experiences to help kids play well together, so they can play well in the world. Our games and gifts connect kids and families, encourage learning and self-expression and let imaginations soar. When play comes from the heart and feeds the soul, that's Peaceable Kingdom! 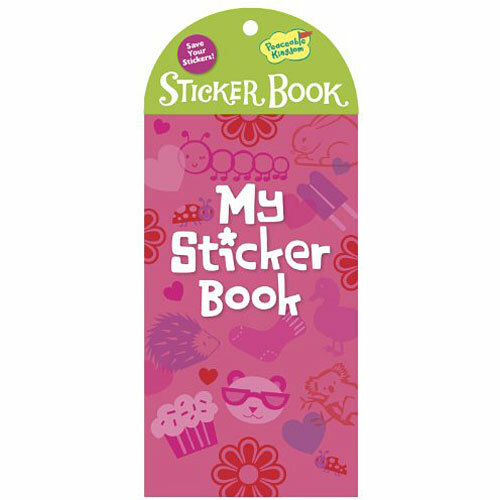 Create your own keepsake sticker art in a fun book designed just for saving your sticker collection This little sticker book measures 4" x 9" and contains 12 blank, glossy pages ready to be decorated in your own special way Tell a story, create an artwork or showcase your favorites Make each page its own theme or mix and match stickers for wacky fun and a good laugh! For ages 2 years and older; Peaceable Kingdom packaging is all designed to be frustration free - naturally! 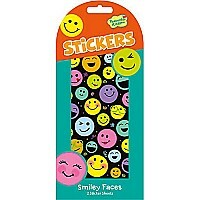 Make each page its own theme or mix and match stickers for wacky fun and a good laugh!